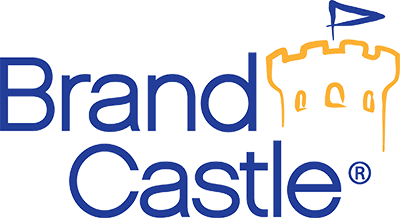 This is the web site of Brand Castle®, available at www.brandcastle.com. We will send you email as dictated by the normal course of your purchases or inquiry. We may contact you regarding new policies and services. We never give your information out to others without your express permission. For each visitor to our Web page, our Web server automatically recognizes only the consumer’s domain name, but not the e-mail address. While we keep track of what pages our customers access and visit, we have no way of tying that information to a specific person. We also collect information in the aggregate from consumers such as survey information and/or site registrations. We will collect the e-mail addresses of those who communicate with us via e-mail. The information we collect is used to improve the content of our web pages, used to customize the content and/or layout of our page for each individual visitor, used to notify consumers about updates to our website, used by us to contact consumers for policy changes and marketing purposes. If you cancel your account and do not want to receive e-mail from us in the future, please let us know through the contact us page. If you supply us with your postal address online you may receive periodic mailings from us with information on new products and services or upcoming events. If you do not wish to receive such mailings, please let us know through the contact us page. You will need to provide us with your exact name and address. Persons who supply us with their telephone numbers online will only receive telephone contact from us with regard to that specific matter. Upon request we provide site visitors with access to all information that we maintain about them including financial information, unique identifier information, transaction information (e.g., dates on which customers made purchases, amounts and types of purchases) and contact information (e.g., name, address, phone number). Customers can access this information by sending us e-mail. Upon request we offer Customers the ability to have inaccuracies corrected in the information described above. Customers can have this information corrected by sending us e-mail at the above address. With respect to security: We always use industry-standard encryption technologies when transferring and receiving consumer data exchanged with our site, When we transfer and receive certain types of sensitive information such as financial information, we redirect visitors to a secure server and will notify visitors through a pop-up screen on our site. We have appropriate security measures in place in our physical facilities to protect against the loss, misuse or alteration of information that we have collected from you at our site. As stated in this policy, we will not release your information to anyone without your permission. The only exception to this is if we are required by law, or in our good-faith belief that such action is necessary to confirm to the edicts of the law. We use a credit card processing company to bill users for purchasers. These companies do not retain, share, store, or use personally identifiable information for any secondary purposes. If you feel that this site is not following its stated information policy, you may reach our controller through the contact us form.